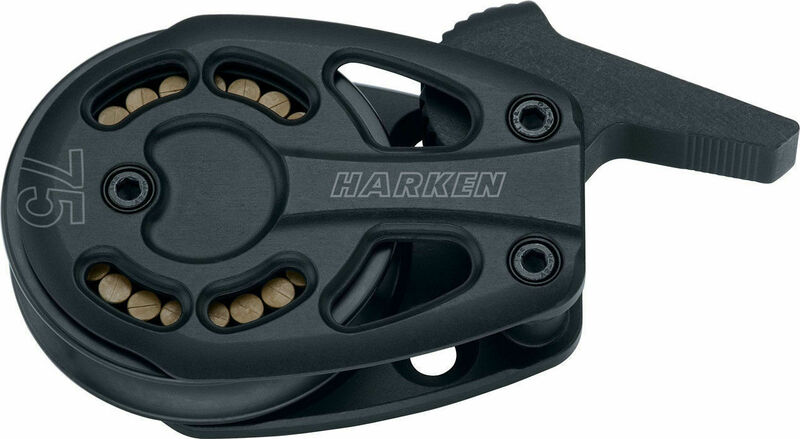 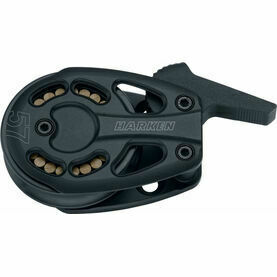 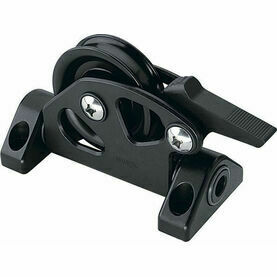 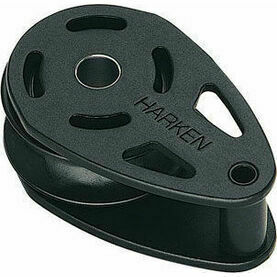 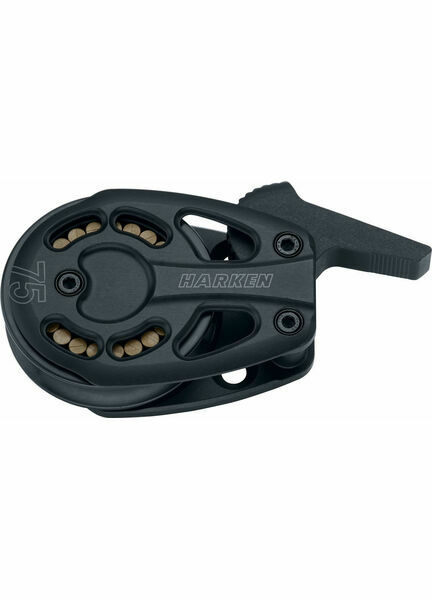 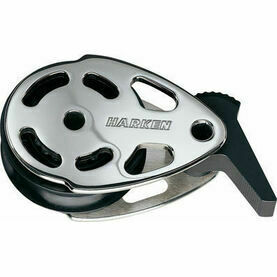 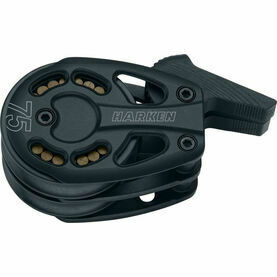 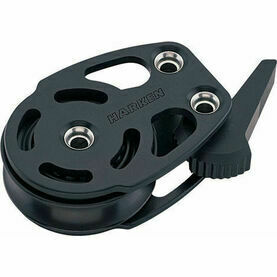 This 75 mm Aluminum Footblock Lockoff from Harken comes from their line of Black Magic Airblocks – which accompany the already popular performance-packed engineering with a new, sleek design. 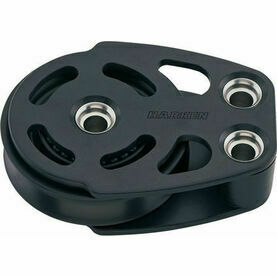 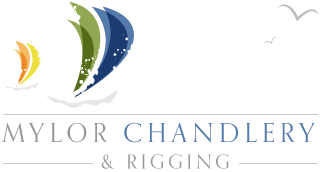 Made specifically to handle the highest loads of running rigging, this lightweight and strong airblock features Torlon roller bearings, which have been housed in a center cage for additional protection. 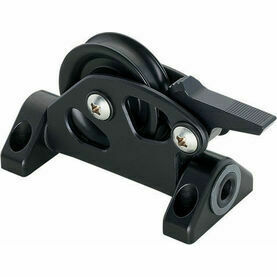 The rollers stay parallel for low-friction efficiency, with sculpted hardcoat-anodized aluminum sideplates made to protect sideload ball bearings.